Do you Know why your chest just wont Grow? In this article you will find Upper and Lower Chest Workout Routines to build massive Pecs/chest. Also I will include Chest Workouts for Beginners and Advanced bodybuilders, Weak point and Priority Training to build a chest you can can be proud of. A really deep, well shaped muscular chest is the cornerstone of a bodybuilding physique and these Chest Workouts will help you build Chest Muscle, carve them and create a complete Chest development. Any chest workout planned should aim at developing these 3 factors. 2. Developing complete chest - Upper-, middle and Lower with clear lower and upper chest separation. 3. A great rib cage. A great Chest Workout is the one which stresses on good chest size and shape. Looking for the Best Chest Workouts sure to blast your Pecs like never before. I highly recommend Lee Hayward's Blat Your Bench Program which is the only Chest Program designed to build Bigger Chest Muscles. 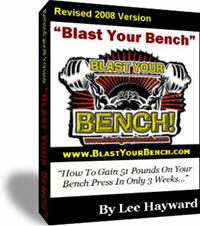 Check Blast Your Bench Program for more. For overall chest development you need to do two kinds of movements - Presses and Flyes. These 2 movements although are sufficient for overall chest development, they have to be performed at various angles as chest is a big muscle with many insertion points. A good warm up with at least 2 light weight warm up sets will get you ready and pumped for the brutal workout ahead, sending blood to chest area and preparing it for the oncoming assault. In bodybuilding Size comes first. Then comes how to define them. The exercises in the Beginner Chest Workouts will help you create that best chest size ready to be chiseled later. The greater the range of motion, the greater the muscular contraction and hence the best results. Dumbbell presses and Flyes are absolutely crucial for maximum growth. 5. Never perform triceps exercises before Chest. Tired triceps will give up before chest, therefore chest muscles will be not optimally trained. 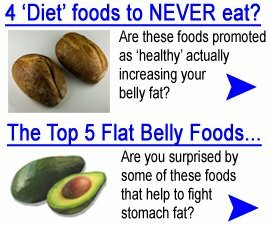 In addition to the Best Exercises you also need quality nutrition to build chest. Blat Your Chest is a complete program designed to build chest muscles. Check this amazing Blast your Bench now. Beginners need to be concerned with Muscle Size first. Heavy Power training with Bench Press, Incline Bench Press and Dumbbell Flyes should be the first priority. Note - For Instructions on how to perform these exercises check theExercise Database. 1. Bench Press - Warm up with 2 sets of 15 reps each, 4 heavy sets of not more than 10,8,6 and 4 reps. Use the heaviest weight possible and a spotter. 3. Dumbbells Flyes - 4 sets of 10,8,6 and 4 reps.
Keep increasing weights every set, even if it is a 5 lb increase. Progressive resistance is the only way to build muscle. Keep stretching your chest muscles in between exercises. 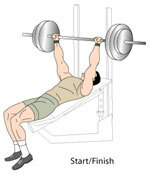 Dumbbell Flyes - 4 sets of 10,8,6 and 4 reps.
Pullovers - 3 sets of 10,8,6 reps.
Machine Flyes - 4 sets of 10,8,6 and 4 reps. In addition to chest size advanced Bodybuilders are concerned with chest shape and overall chest development. A good rib cage, separation between upper and lower chest and a well developed delto-chest are with good chest striations will be your priority. In addition to the basic chest exercises like Bench press and Flyes you need to do additional chest exercises like Cable crossovers, pullovers, dips, supersets and burn out sets. In addition if you have a weaker chest compared to other body parts, you may have to consider Weak Point training or priority Training. In order to build a more muscular chest you will need to do chest when you are fresh and with more sets than ever before. High set training combined with Supersets is what I recommend for advanced bodybuilders in addition to more variety. Dumbbell Flyes - 4 sets of 10,8,6,4 reps, Superset with Machine Flyovers for last set. Pullovers - 4 sets of 10,8,6,4 reps. Sometimes it gets boring to perform same exercises week after week. Change over from Barbells to Dumbbells, add a few new exercises or just combine 2 body parts like chest and back and add exercises that hit both the muscles like pullovers, dips and rows. Since Men want a Bigger chest, its best to do more sets per workout. This workload should be balanced with your Shoulder Workouts as shoulders take a lot of weight in bench presseing movements too. If Mass is what you want then nothing like a workout focused mostly on heavy duty Bench Press and Dumbbell Presses and Flyes. No Weights Chest Workouts using bodyweight only can be built around Push Ups and Dips with Loads of Variations as seen in the Push Ups Section. Building Chest at Home can be done with high intensity workouts with less rest intervals using push ups alone. Tried and tested by many strongmen. Women Workouts should use the chest exercises with higher repetition count to build lean chest and high aerobic stamina. Want to create a Chest Workout only around Dumbbells? Its certainly possible with Dumbbell Chest Press, Flyes and Pullovers. Upper Chest Workout and Lower Chest Workout have been already covered. This combination is excellent but make sure you train chest first as tired triceps will affect chest performance. Go from Best Chest Workouts to Weight Training Homepage. Do you have a great chest building exercise or workout? Share it!